Mar 13 40 Years Ago Today! 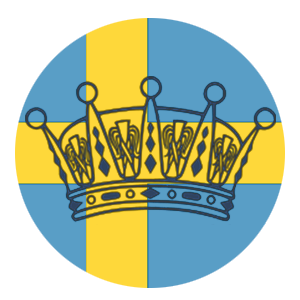 So if you have to know one thing about my royal love, it is this..
Carl Gustaf and Silvia are my favorites! Yep- not Victoria, Daniel, Madeleine, or even little Estelle. I am 100% in love with Kungaparet. Why? I cannot give a distinctive reason besides the fact they are just beyond adorable! So the purpose for this post is to celebrate that 40 years ago today, the royal couple gave their Engagement Interview. They announced their engagement yesterday on March 12th- but it was March 13th that they gave the famous interview. I sadly have never been able to see the full interview but I have been able to see little bits and pieces! (if you want to record the full interview and send it to me I will love you forever haha!) In celebration of this anniversary- I want to share this adorable clip with you! "Det sa bara klick! "Det är lysande tider för stundande bröllop! Här får vi se en helt oredigerad intervju av Carl XVI Gustaf och Drottning Silvia när de var alldeles gröna som förlovade för snart 40 år sedan. Happy 40 years Your Majesties!